What if a Child Suffers Injuries as a Result of a Driver Charged with DUI (Driving Under the Influence)? Criminal Case Against DUI Driver. The child, the parents of the child, and / or witnesses to the accident may be subpoenaed to testify during the DUI proceedings. It is up to the Sheriff’s office, local police, and prosecutor to make decisions as to the type of charges pursued and any plea deals that result from the criminal case. Criminal Case – Restitution. In the criminal case, the Judge can award the injury victim restitution which is typically in the form of out of pocket medical expenses and bills rather than compensation for pain and suffering damages. PIP (Personal Injury Protection). A child injured as a result of a drunk driving incident may qualify for PIP coverage under the at fault driver’s policy IF the child did not PIP coverage of his or her own, did not have a resident relative with PIP coverage, and did not occupy a vehicle of another driver with PIP coverage. PIP coverage typically pays for 80 % of the medical bills up to a certain limit under the insurance policy. can be as high as $20,000 or more. BI (Bodily Injury). The child injured as a result of a DUI accident may be entitled to compensation under the BI coverage of the at fault driver or the owner of the vehicle driven by the at fault driver. UM (Underinsured or Uninsured Motorist). If the at fault driver and owner lacked BI coverage or did not have a sufficient amount of BI coverage to adequately compensate the injured child for his or her injuries, the injured child may qualify for UM coverage under the vehicle occupied by the child, the child’s own policy, or a policy of a resident relative . Punitive Damages. In some DUI accident cases, the attorney representing the injured child may elect to pursue punitive damages for the child. Unfortunately, punitive damages are not typically covered by an insurance policy. 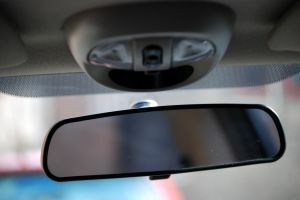 The claim for punitive damages makes sense if the at fault owner or driver have assets or the at fault driver was an employee of a business with assets. Due to the complexity of issues involved with a DUI injury cases, the parent or guardian of an injured child should seek a Child Injury Lawyer for advice, consultation, and legal representation. The book titled – The ABCs of Child Injury – Legal Rights of the Injured Child – What Every Parent Should Know – has chapters on Automobile Accidents, Medical Bills and Treatment, and other topics. You can get this book for free at The ABCs of Child Injury.